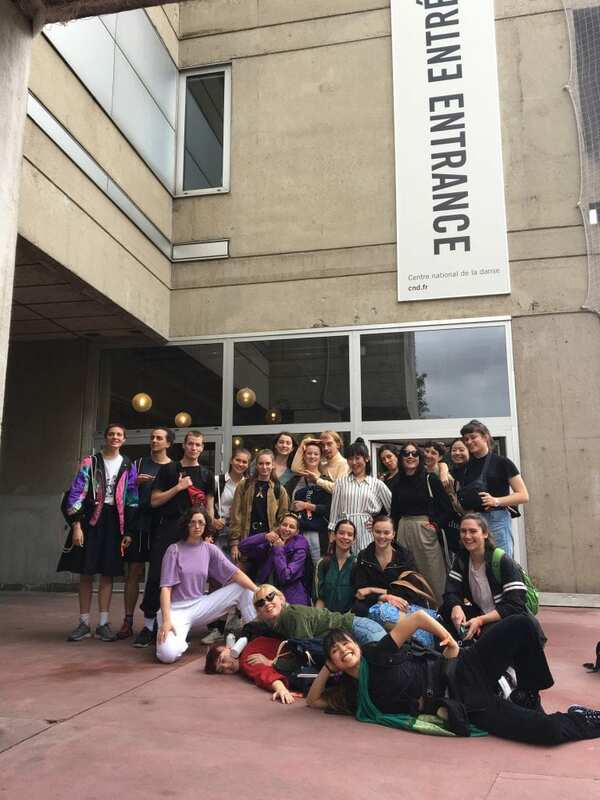 Some 22 VCA Dance students recently took part in the annual Travelling Dance Studio program in France and Germany, honing their knowledge and skills in ways that will benefit them in Australia. The second-floor windows are open at the Tanzfabrik Centre for Contemporary Dance in Berlin, where 22 VCA Dance second- and third-year students are limbering up in the face of 35-degree early afternoon heat. Choreographer Ayman Harper, their teacher for the day’s workshop, asks them to stand in a circle, to work together, passing an imaginary ball to each other, changing direction when they feel like it, eliminating those who miss their cue. There’s shouting, laughter, movement in vests, leggings and shorts. Choreographer Ayman Harper runs VCA Dance students through their warm-up paces at the Tanzfabrik Centre for Contemporary Dance in Berlin. By Paul Dalgarno. 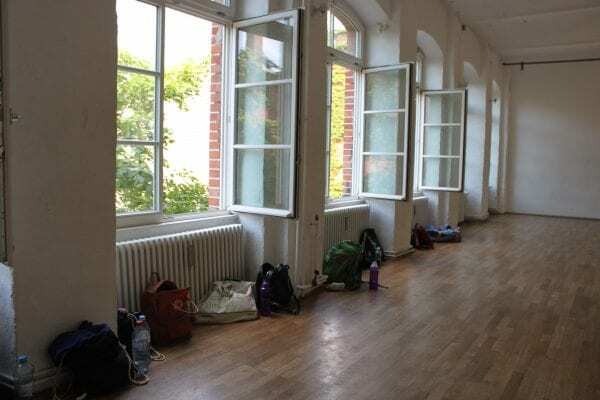 The group is in last days of this year’s Travelling Dance Studio, an intensive, three-week study-abroad subject, which has seen them attend dance performances, as well as practising and participating in dance events in France and Germany. The Tanzfabrik Centre for Contemporary Dance in Berlin. By Paul Dalgarno. The dancers fall in line, shake their legs and arms out, ready to go. Harper starts the music, the students begin dancing, stops the music, they stop, start again, move on to the next piece of what looks like an elaborate puzzle. I catch up with Harper during the first short break of the session. Harper, a Berlin-based freelance dance teacher, has been working with the VCA periodically since meeting and forming a bond with Head of VCA Dance Jenny Kinder during a workshop in Melbourne in 2016, when he realised that his own approach, and that of the VCA, just “gelled”. In recent days, he has been teaching the VCA dancers repertoire by the renowned American dancer and choreographer William Forsythe, with whom he used to dance, and many others. VCA Dancers at Tanzfabrik, Berlin. Workshop with Ayman Harper. By Anna Smith. “Another unique aspect of VCA Dance is the variation of interests among the students,” he says. “Some of the dancers here are really keen to work on movement, and virtuosic technique. Others are more interested in conceptual dance and choreography. Because of that, I’ve been approaching each day differently, with different lenses on. “Today we’re addressing some mechanics, and how to achieve speed through relaxation, because ultimately speed comes from a state of total relaxation. That’s something I’ve learned from my tap education … I’m sorry,” he says, “excuse me”. He returns to the front of the studio, addresses the students, who are back on their feet, relaxed and ready – starts the routine, stops, starts. The students produce the same move faster and faster until it begins to falls apart. 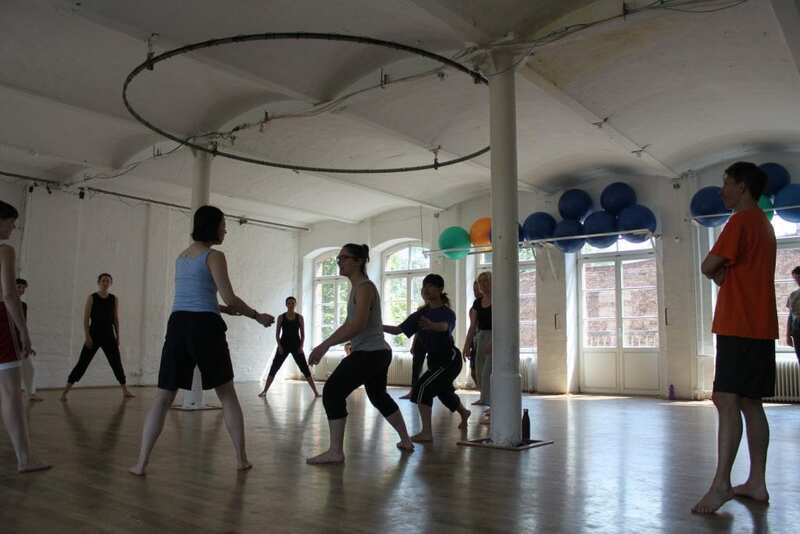 Choreographer Ayman Harper and VCA Dance students at the Tanzfabrik Centre for Contemporary Dance in Berlin. By Paul Dalgarno. Watching over the workshop is VCA Lecturer in Dance Anna Smith, who is on her fifth Travelling Dance Studio with the students. This one, she says, has been the busiest so far. VCA Dance students outside the Centre National de la Danse, Paris. By Anna Smith. The workshops, she says, are just one part of the social and cultural experience the Travelling Dance Studio was created to cultivate. Overseeing train tickets, accommodation and issues that crop up with such a large group of students is always challenging, she says, but such concerns are outweighed by the positives for students and staff alike. 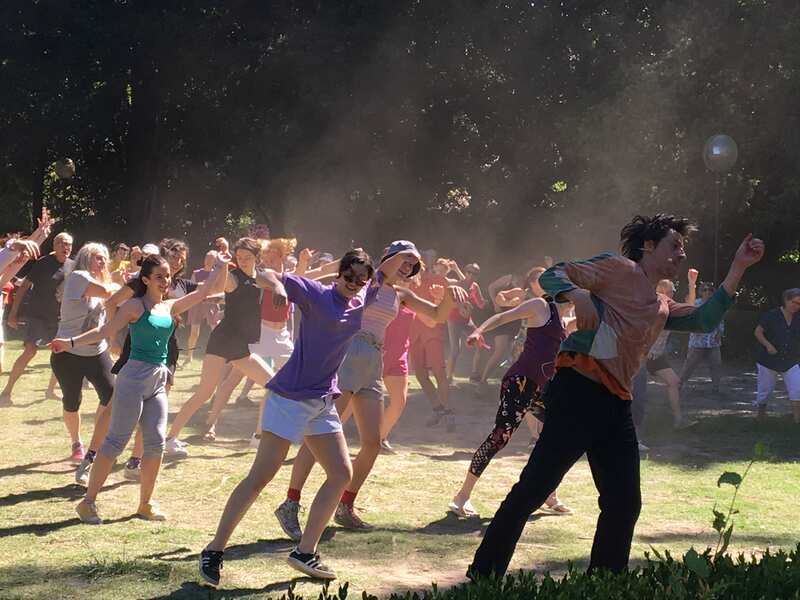 Dancers in foreground taking an outdoor class with Blai Mateu Trias (front left), Montpellier. By Anna Smith. “On a trip like this, there’s a lot of professional development for me too,” she says. “Our aim is always to expose the students to the heart of contemporary dance – which obviously benefits me as a dance professional. When I’m back in Melbourne reading the students’ reflective papers on the experience, I really get a sense that they’ve been enlivened and enriched. Head of VCA Dance Jenny Kinder, who established the Travelling Dance Studio in 2014, says the program has been a huge success. “In my time as Head, we’ve embedded a number of aspects to the degree program that have been helpful to the dancers’ development, and one of those is the Travelling Dance Studio. Some 90% of our students choose to do it, and it becomes very formative in what they then choose to focus on professionally. Ayman Harper talking to Anika De Ruyter at Tanzfabrik, Berlin. By Anna Smith. One of the dancers on the program is Hannah Francesca Troth, a third-year VCA Dance student. The Travelling Dance Studio program so far, she says, has been “hard” but also “really exciting and interesting”. Hannah Francesca Troth. By Paul Dalgarno. Does she think the trip has given her any more insight to her professional direction in dance? Hannah Francesca Troth improvising at Tanzfabrik, Berlin. By Anna Smith. And might a return to Berlin or Paris be on the horizon? She nods again, says, “I think I’ll definitely be moving to Berlin when I graduate”. She’s not the only one to have been impacted that way. 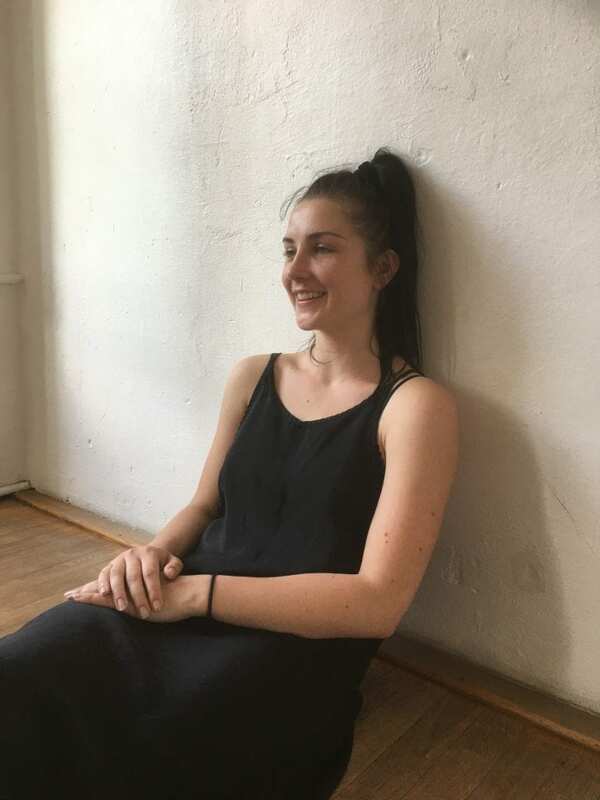 Second-year VCA Dance student Thalia Livingstone was born in Australia, grew up in Germany and returned to Australia during Year Ten to finish high school. Her training started in ballet before – more recently – encompassing contemporary dance. Thalia Livingstone. By Paul Dalgarno. How has the Travelling Dance Studio been for her so far? Seeing dancers from other schools perform during showcase events at the Centre National de la Danse, she says, was a real highlight. Rachael Wisby improvising at Tanzfabrik, Berlin. By Anna Smith. 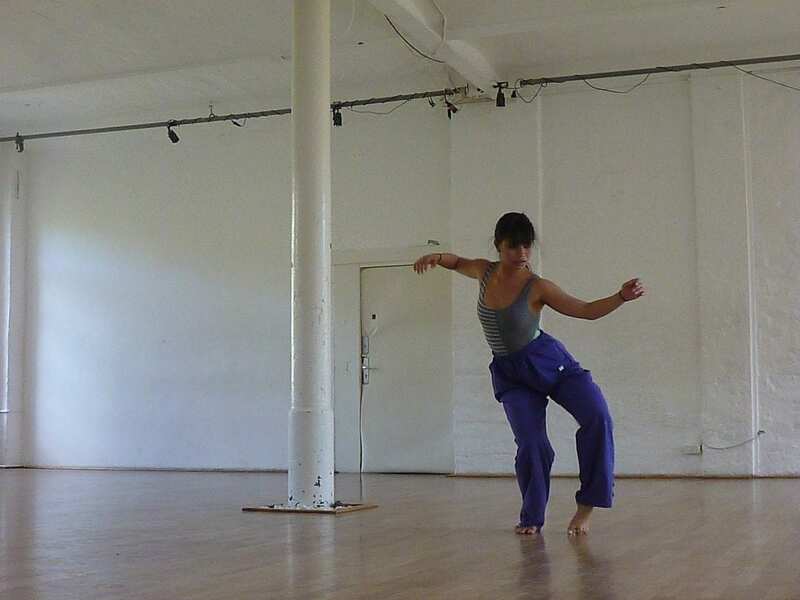 Like many emerging dancers, Livingstone would like to find full-time work in a dance company when she graduates – “I think you learn a lot more than you might doing project to project work” – and, like Troth, she has Europe in her sights. 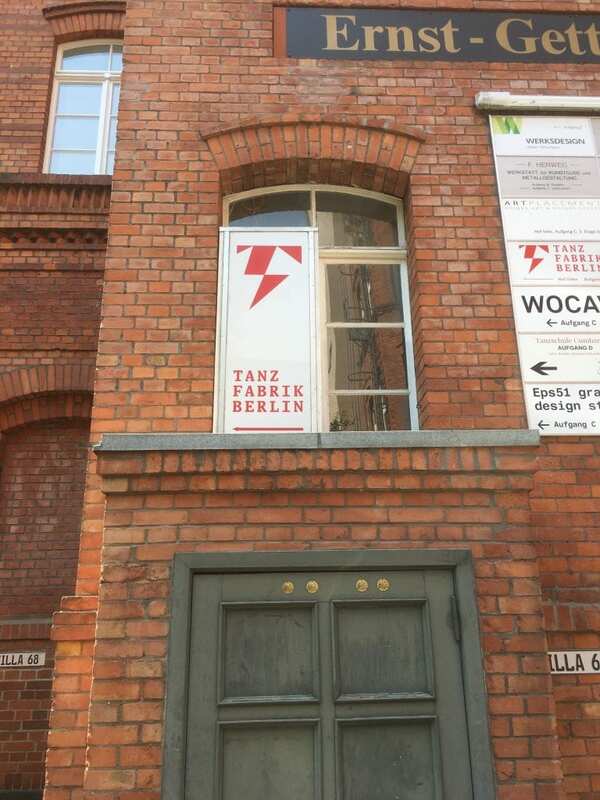 The Tanzfabrik Centre for Contemporary Dance in Berlin. Image by Paul Dalgarno. The travelling aspect goes both ways, of course. As part of this year’s Dance 40 celebrations, Harper will shortly travel to Melbourne to choreograph a major work with students. When I catch up with him next, in the late afternoon, he’s breathing heavier than before, as are the students. And with that, he claps his hands, smiles, and calls everyone back to the front of the room. 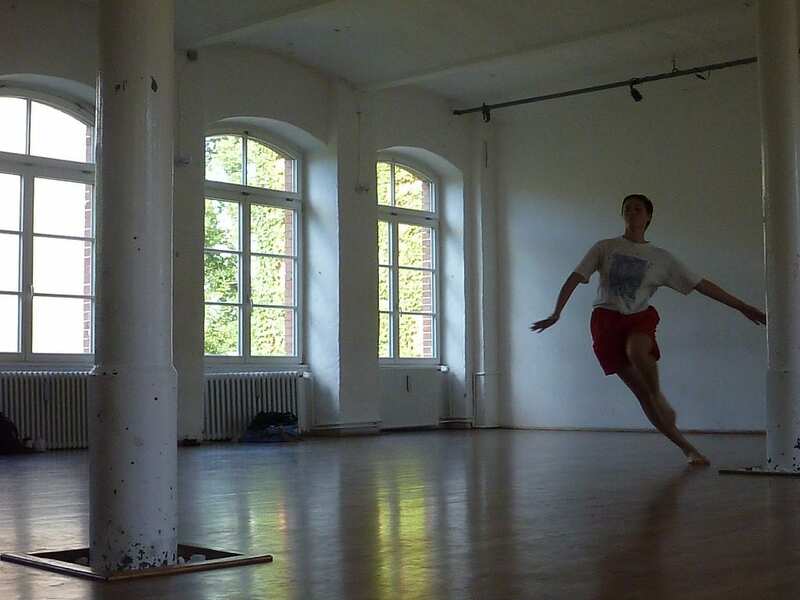 Banner image: VCA Dancers at Tanzfabrik, Berlin. Workshop with choreographer Ayman Harper. By Anna Smith. Find out more about studying Dance at the Victorian College of the Arts. Find out more about the 2018 Dance 40 celebrations.